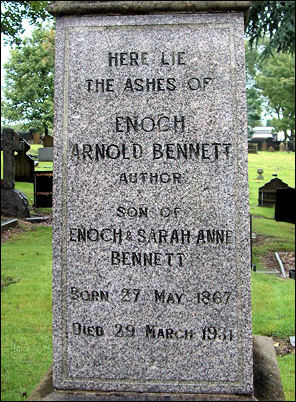 I always have a laugh when I pass the grave of Arnold Bennett. And before all you Bennett aficionados reach for your quills in order to stab my eyes out, let me explain. Better still I’ll let the former chairman of the Arnold Bennett Society, author John Potter, tell you. The great Potteries’ man of letters was born in Hanley on 27th May 1867 and he died in London on 27th March 1931. So is there a bigger story about how the stonemason carved the date of his death as the 29th? It’s a lovely story, one that Bennett could easily have written with his proclivity for irony. Burslem Cemetery is full of such stories. 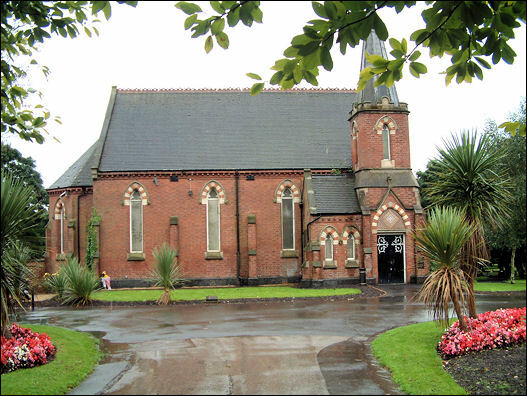 Burslem was an independent borough when the cemetery opened. It was described in one journal as being one of the most beautiful in the country. “It cost £20,500 to create and was miles ahead of its time as a community facility. The compact chapel was the focal point from which long avenues of trees and flowering shrub radiated,” adds Steve. The tall redbrick building with carved stone embellishments blends with the mock-gothic windows. An eye-catching entrance holds a cluster of stone buttresses and corbels surrounding a modest arched entrance above which is a panel of decorative Minton tiles. Sadly the days of the chapel are numbered as the council makes preparations to demolish it on grounds of safety and maintenance. It’s a decision that puzzles Steve. 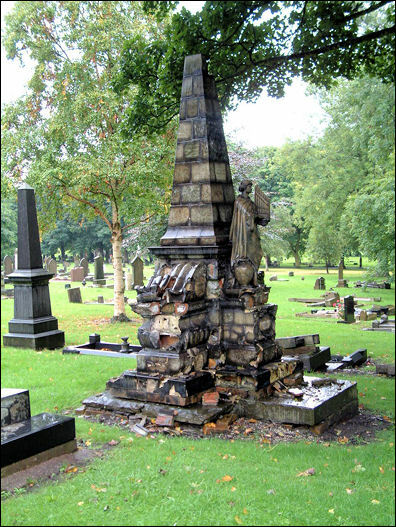 But facts have to be faced – Burslem cemetery was built for the Victorians who celebrated death in ostentatious architectural fashion. Thomas Hulme was the perfect Victorian do-gooder. He owned a pottery and was a leading proponent of the arts helping to fund the Wedgwood Institute and provide the land and financial support to build Burslem’s School of Art. “The grave was a monument to art and a glorious tribute to Hulme,” says Steve. “The whole was built from individually modelled panels of glazed pot clay depicting all the projects he was involved in. It’s like reading a picture book, a biography of a great man. Of course the material it is constructed from couldn’t last. And now it has deteriorated to the extent that it may be beyond saving.